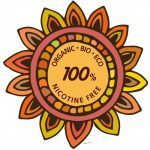 Wild is a herbal smoking blend that contains only the highest quality organic ingredients. Tobacco free, nicotine free, with no chemical or synthetic ingredients, free from narcotic or addictive substances. The blend is perfect for people who like to smoke but do not want to inhale nicotine and other poisons that are present in tobacco. Designed for those who want to be free from the tobacco and nicotine habit. We are sure you will be 100% satisfied with our blend. But if for any reason you are unhappy with your purchase, you may return it and a get a full refund.